Jared Greenberg, anchor of High School SportsDesk on MSG Varsity, has led anything but a conventional career. 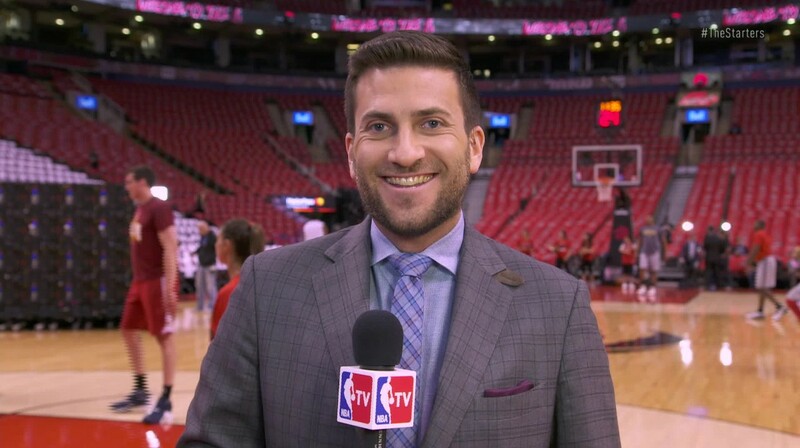 With his passion for sports and diverse path in broadcasting, Greenberg has quickly become one of today’s brightest young personalities in sportscasting. Greenberg first got his start while attending Mahwah High School at WRPR 90.3 FM, a local radio station at Ramapo College of New Jersey. It was there where Greenberg first discovered his voice and adoration for sports. After High School, Greenberg decided to attend Hofstra University, a private college in Long Island, New York. While attending Hofstra, Greenberg had the opportunity to broadcast over 200 play-by-play NCAA Division 1 games, while hosting hundreds of talk shows. After graduation, Greenberg landed his first broadcasting role in 2005 with the Newark Bears, an independent minor league baseball team in the Canadian American Association of Professional Baseball. With the Bears, he served as the team’s Media Relations Manager and traveled with the team, broadcasting all road games. Between 2005 and today, Greenberg continued to hold various broadcasting roles, which included sports reporting with News 12 in the Bronx, and select play-by-play and reporting for men’s and women’s college basketball for ESPN 360. But perhaps his favorite role during that time was working for NBA-TV. In 2009, Greenberg landed his current gig with MSG Varsity. As the nightly anchor for High School SportsDesk, he reports high school sports to communities in the tri-state area. With MSG Varsity, Greenberg has the opportunity to make use of his distinct broadcasting background to highlight high school sports in ways that directly affect athletes and schools in the surrounding neighborhoods. The framework of Greenberg’s background undoubtedly helped shape him into the broadcaster he is today. He gives MSG Varsity a personality that has had a strong education with a diverse background in sports, and in today’s industry, it is rare to find someone who is as knowledgeable as Greenberg about not only major professional sports, but also field hockey, lacrosse, wrestling, volleyball and softball. High School SportsDesk airs weeknights at 7 PM on MSG Varsity.